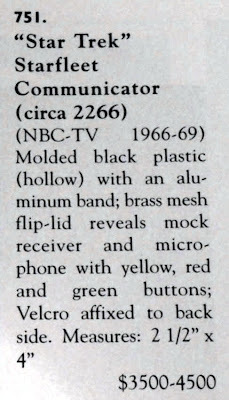 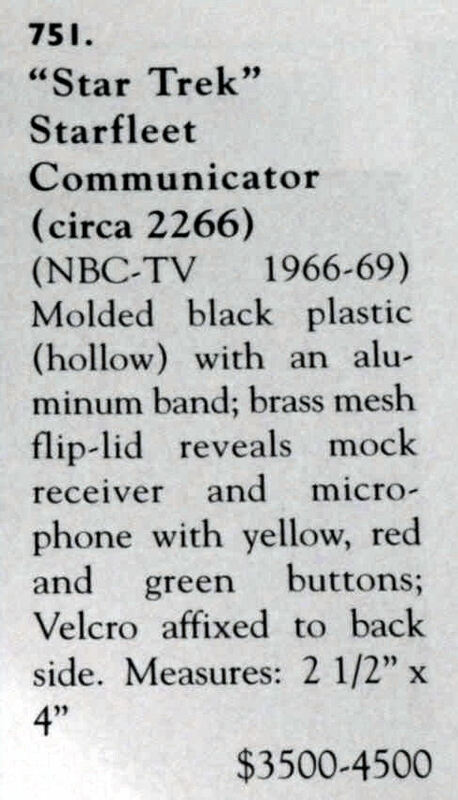 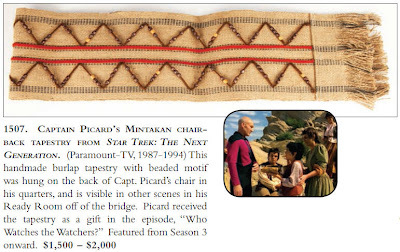 The Profiles In History Hollywood: A Collector's Ransom II auction was held on June 1st and 2nd, 1996 at the Pacific Design Center in Los Angeles, CA. 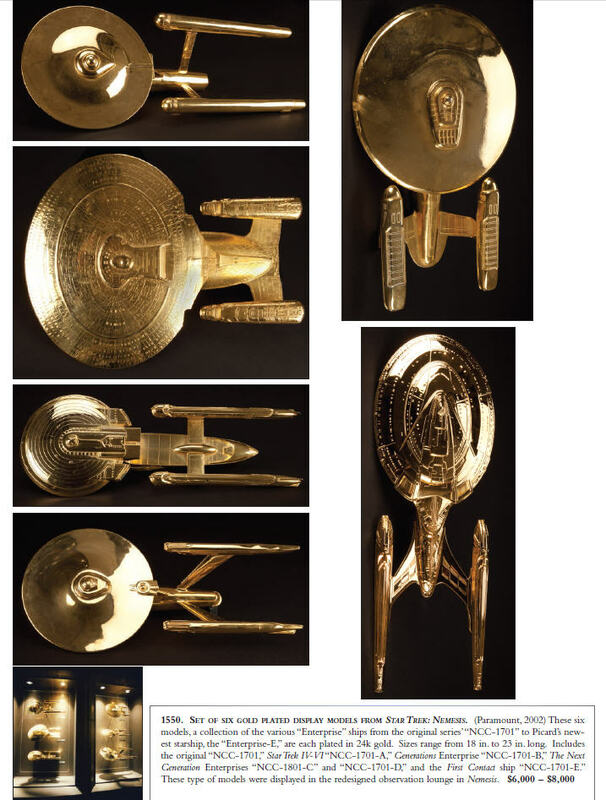 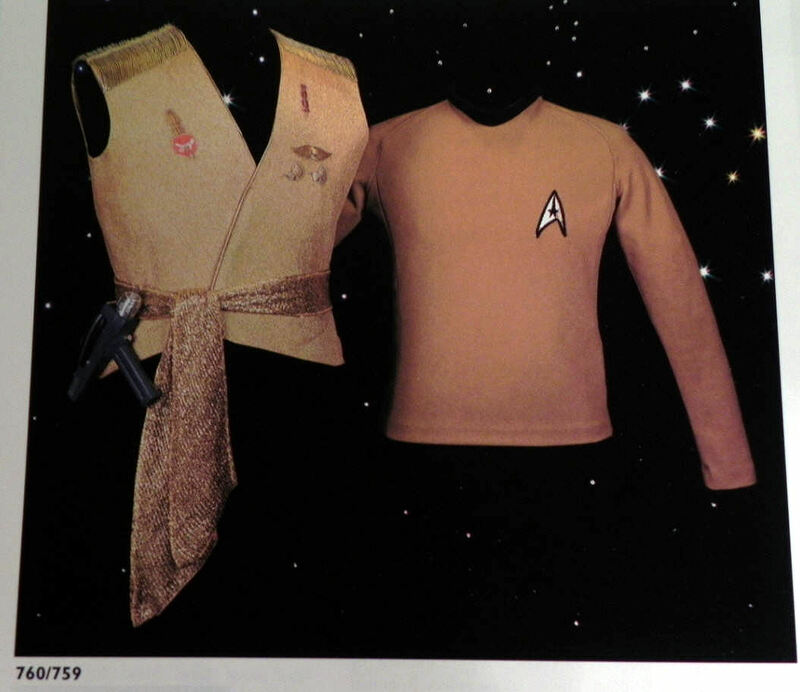 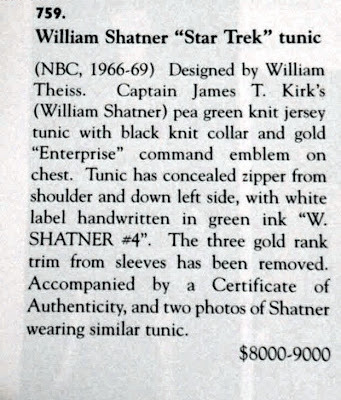 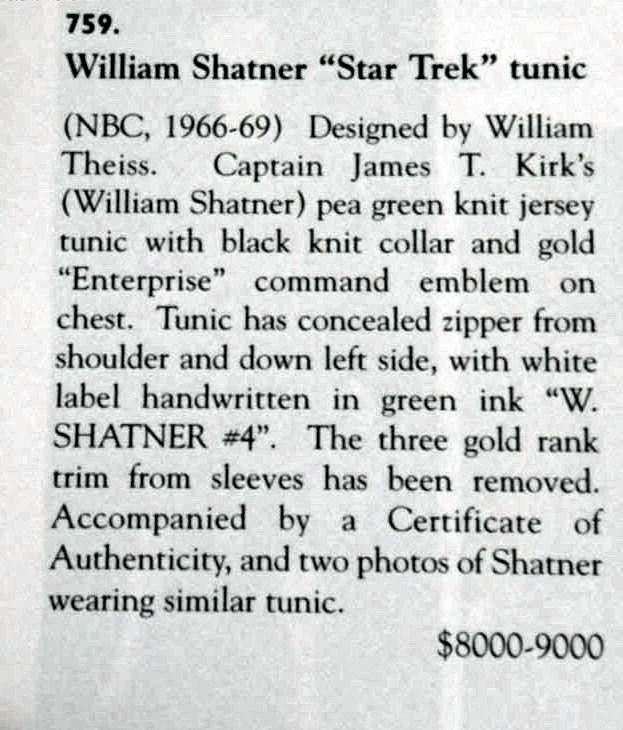 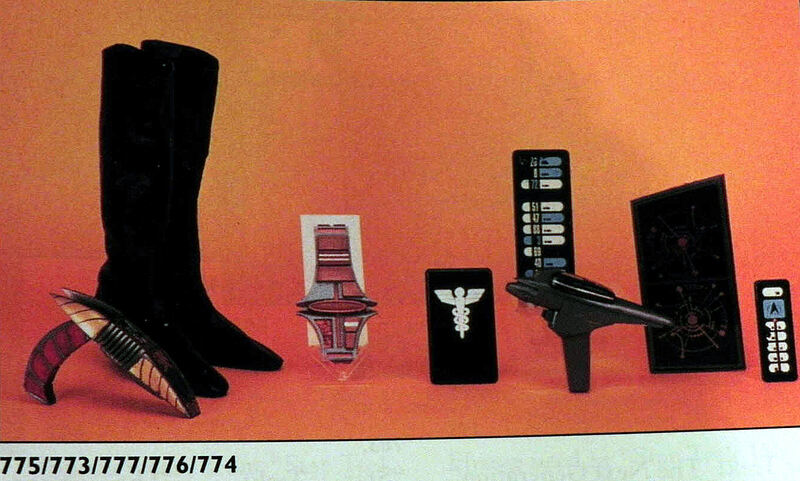 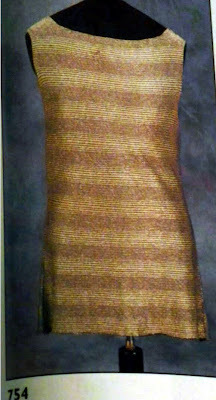 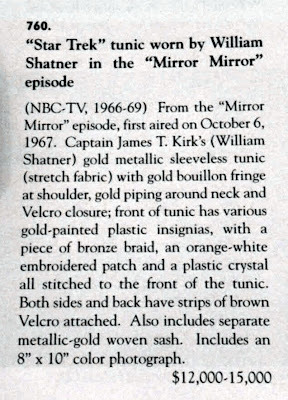 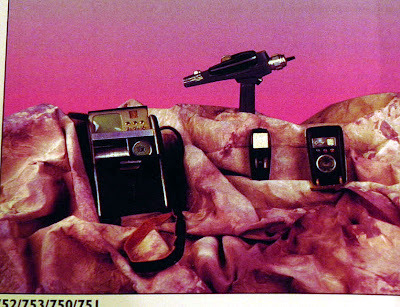 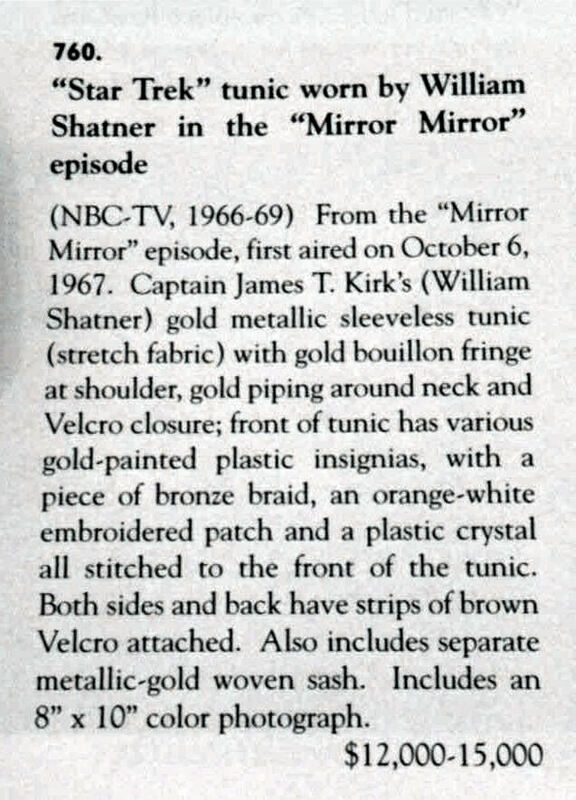 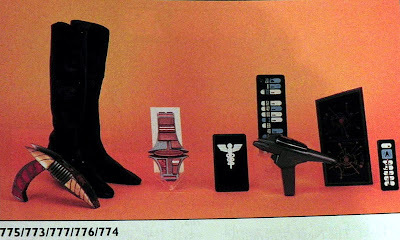 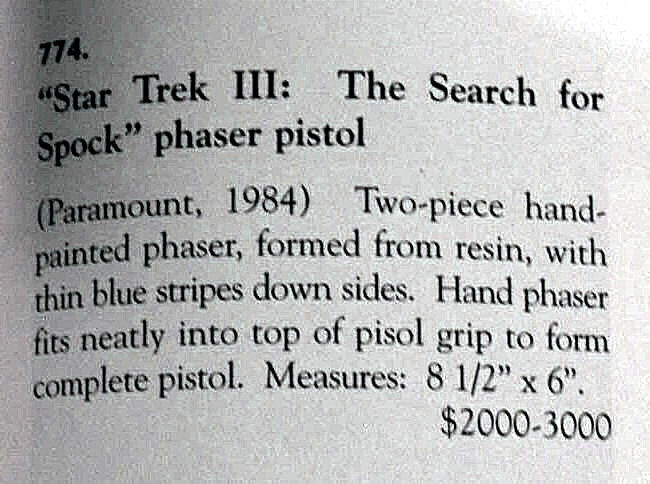 It featured a significant offering of Star Trek memorabilia, including a Cage laser and a complete landing party set of TOS hand props; as well as significant TOS costume pieces such as a Captain's Formal Dress tunic seen in "Court Martial", a William Shatner 3rd Season Command tunic and the sleeveless gold Captain Kirk tunic from "Mirror Mirror". 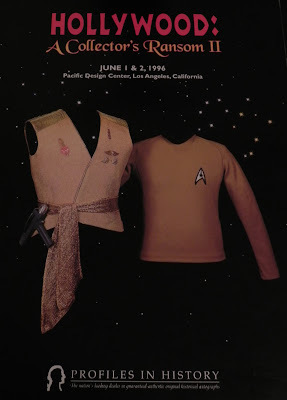 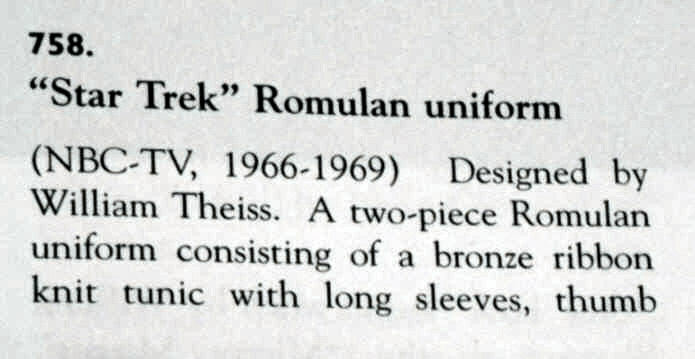 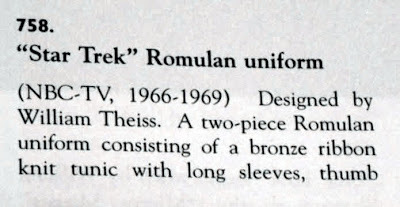 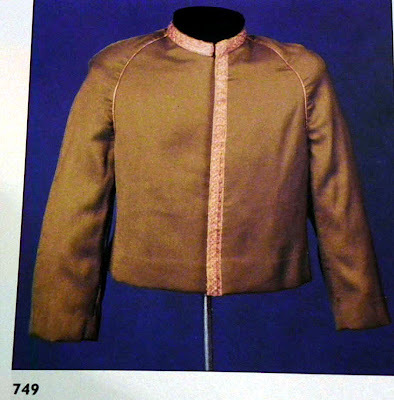 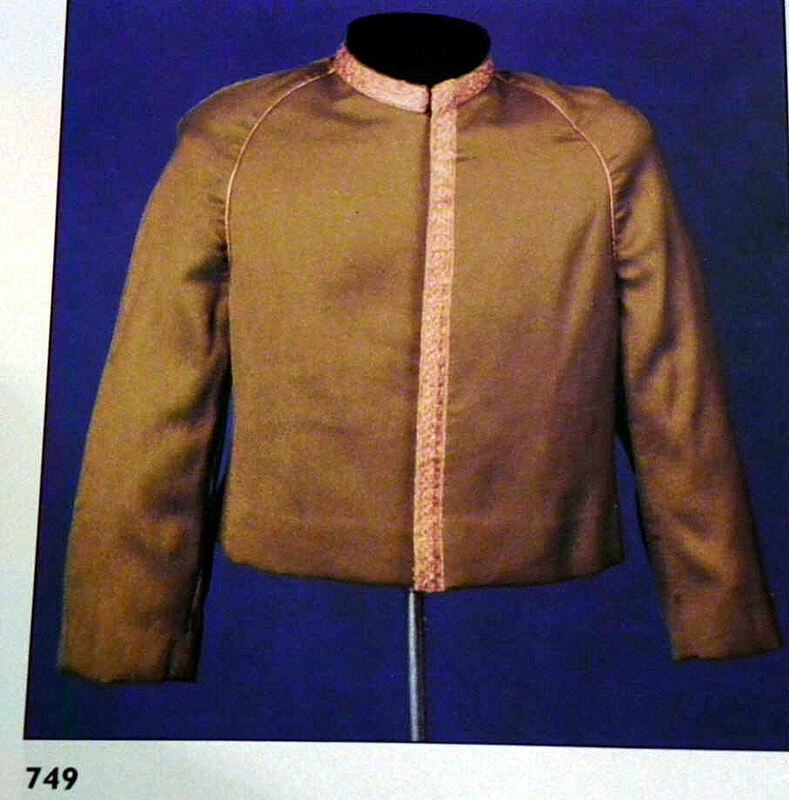 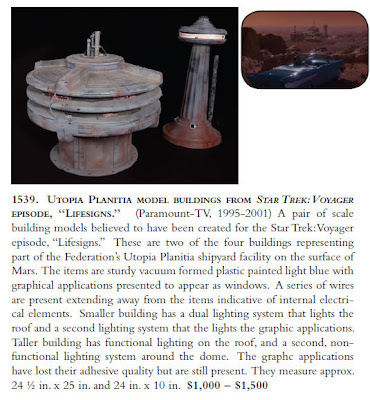 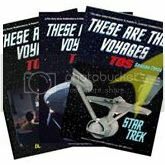 Additionally, a rare TOS two piece Romulan uniform and a Klingon tunic were offered (but unsold) at this event, along with a variety of Star Trek props, costumes and artwork from the feature films and later television series in the franchise. 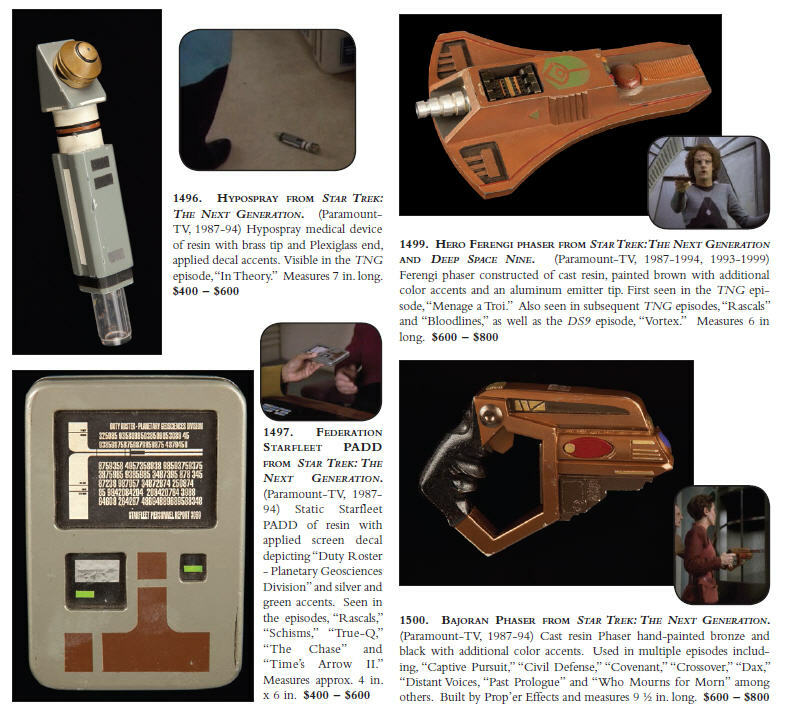 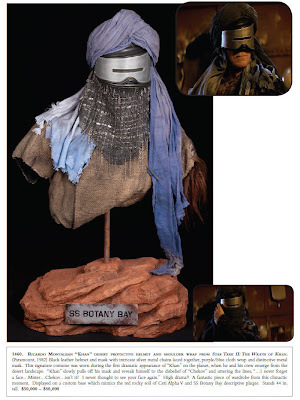 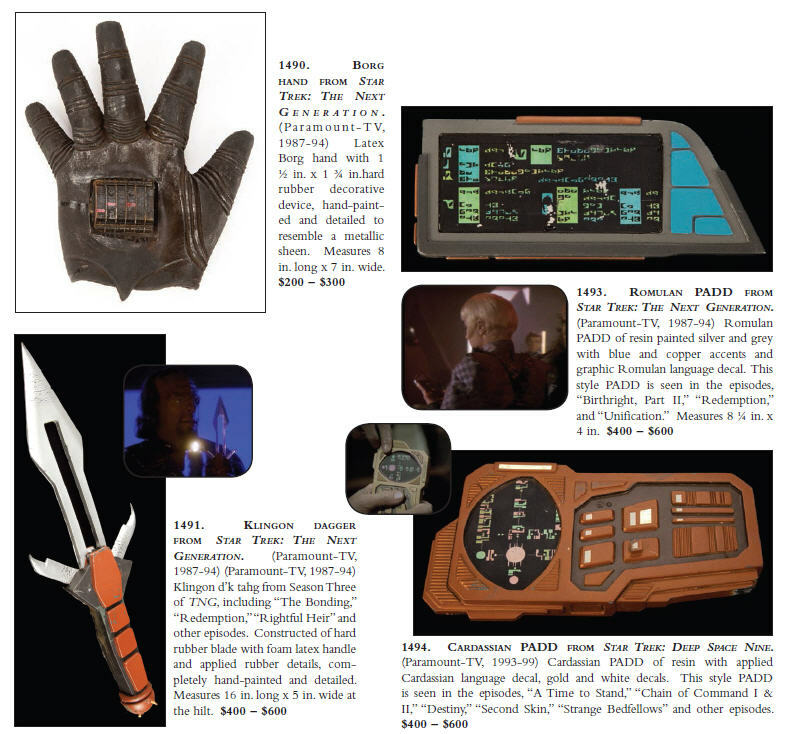 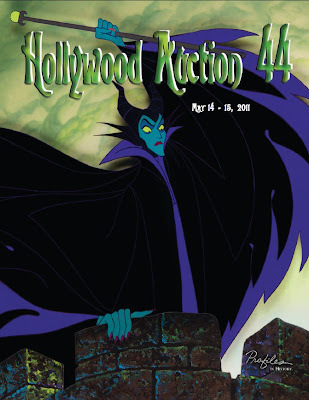 Presented below are some selected highlights from the memorabilia that was offered at the Hollywood: A Collector's Ransom II auction along with their final sales prices. 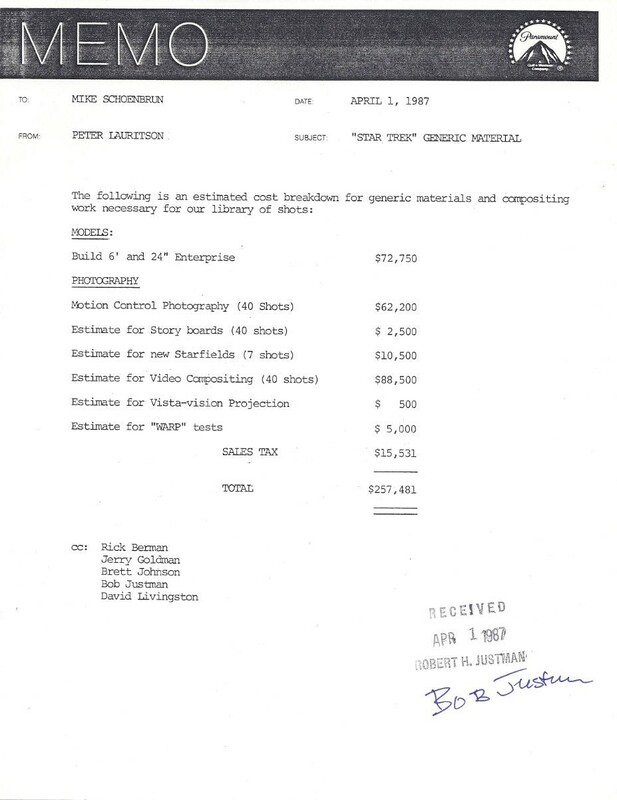 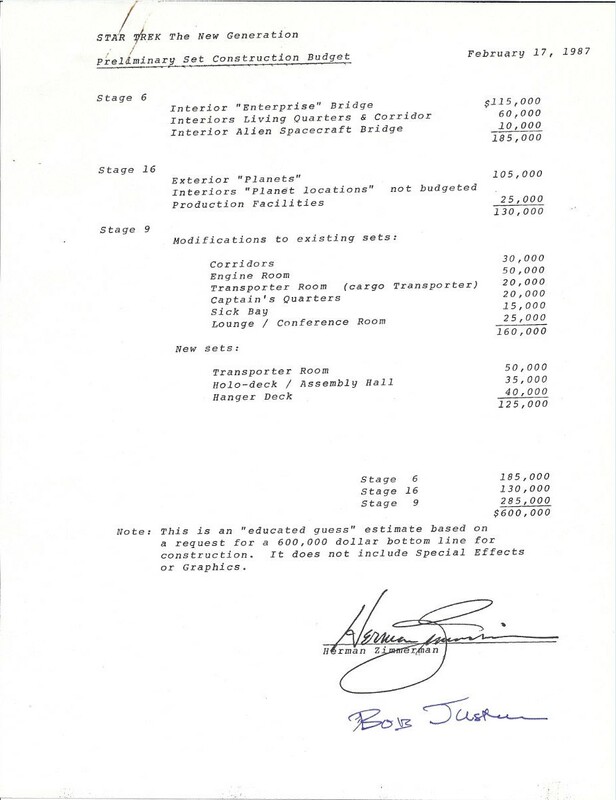 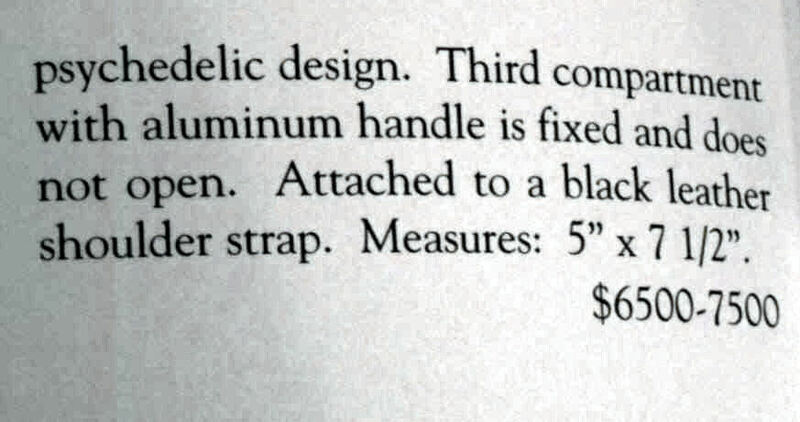 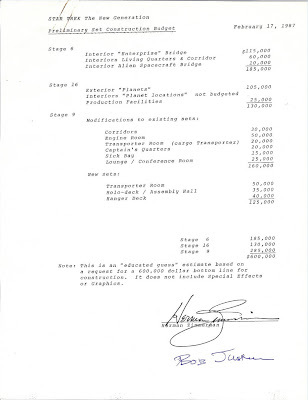 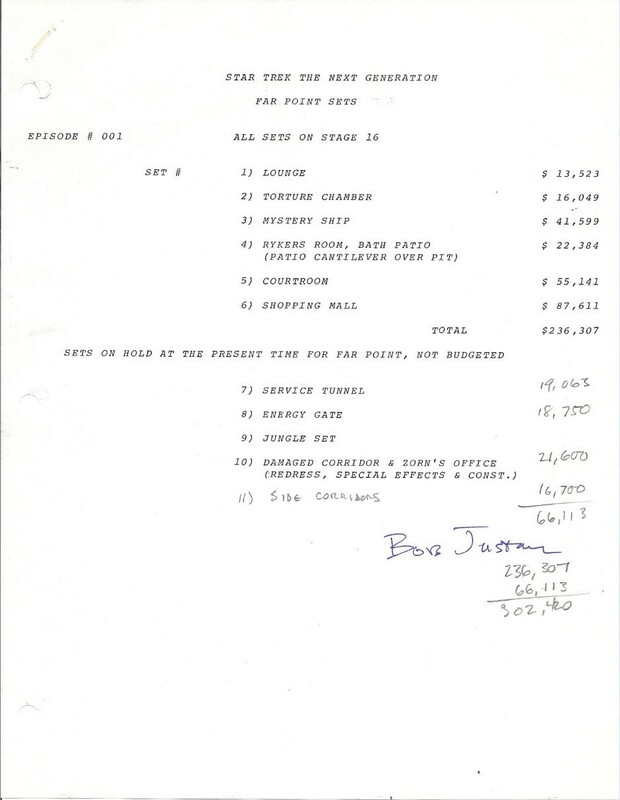 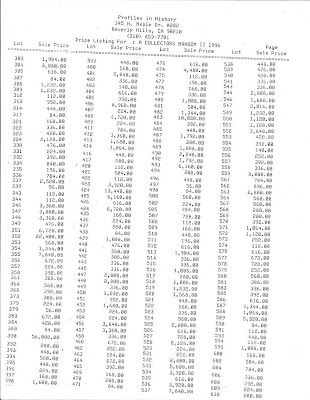 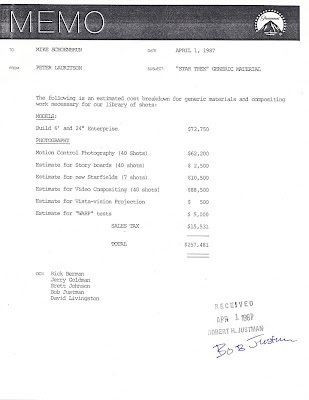 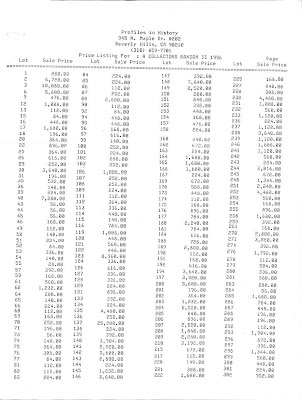 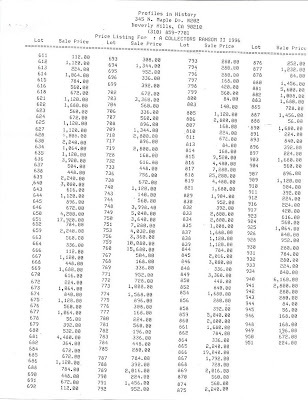 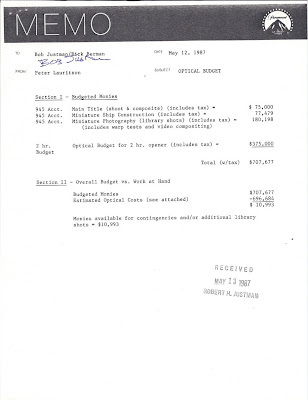 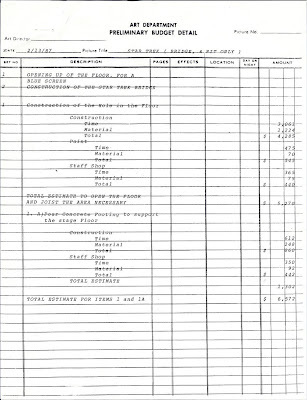 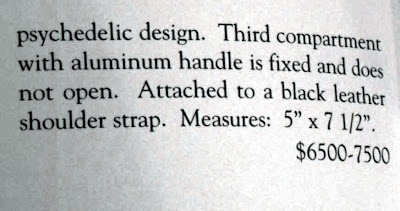 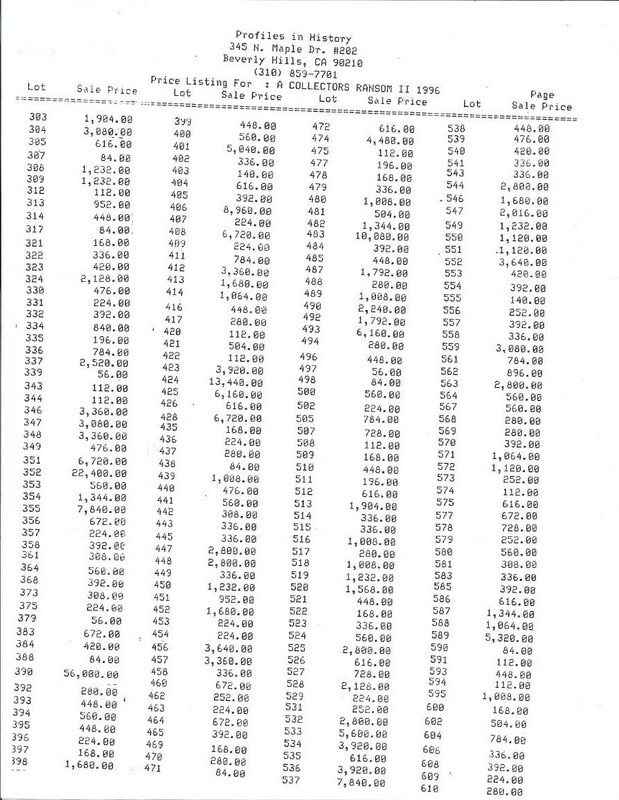 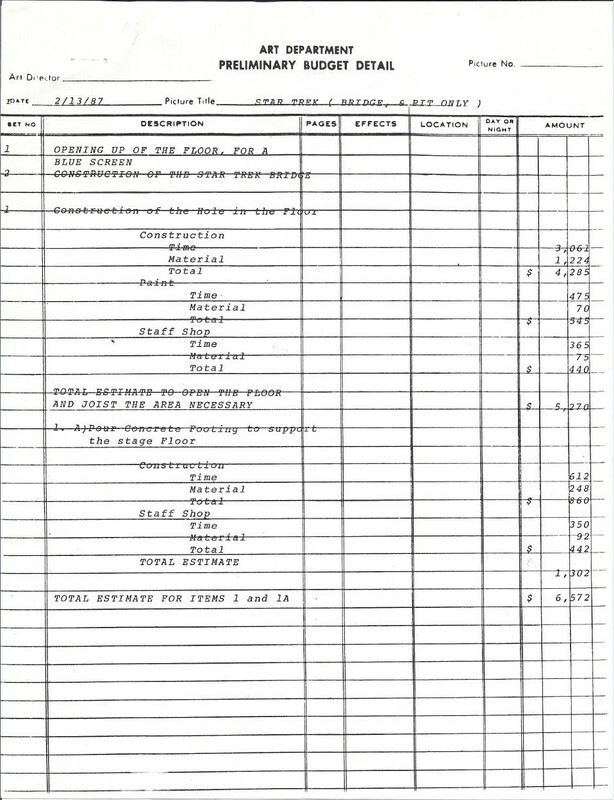 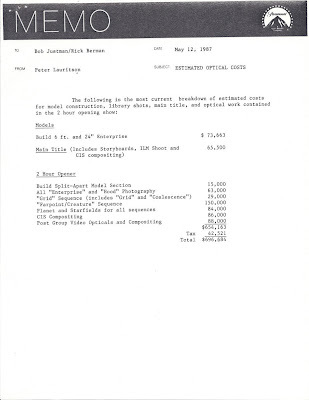 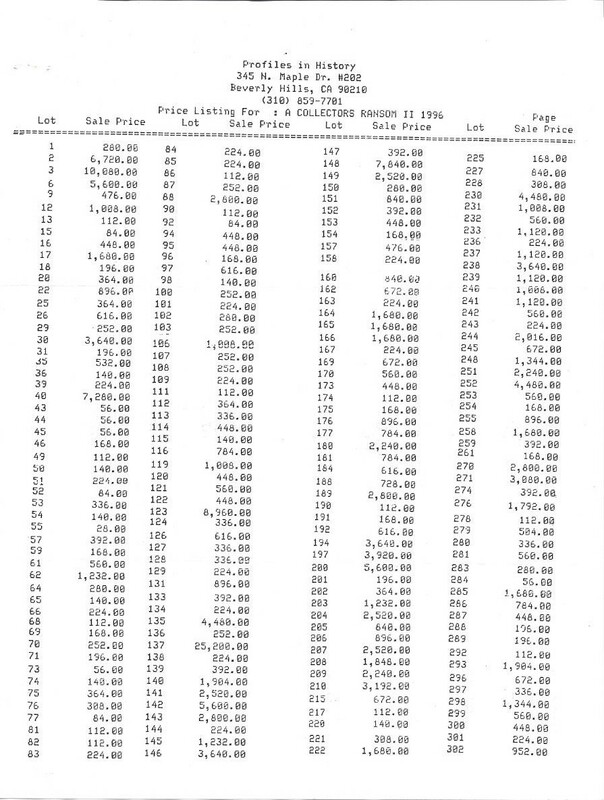 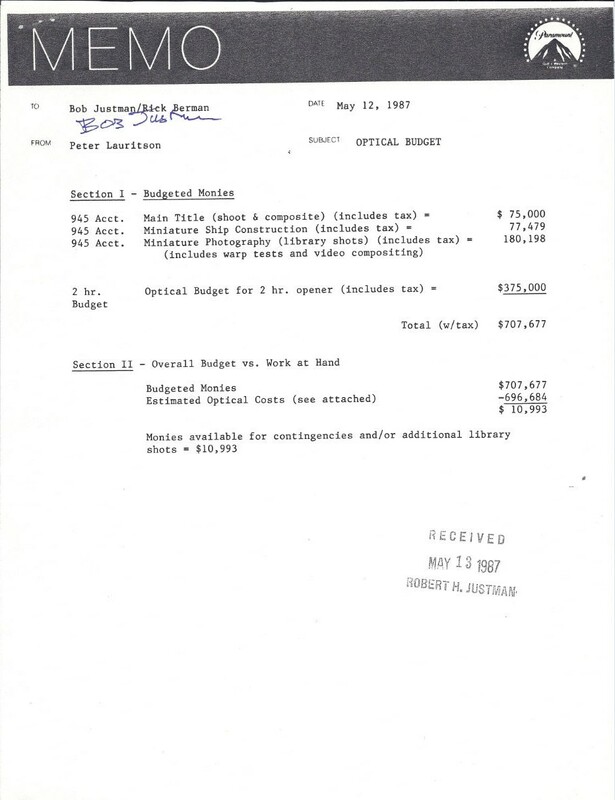 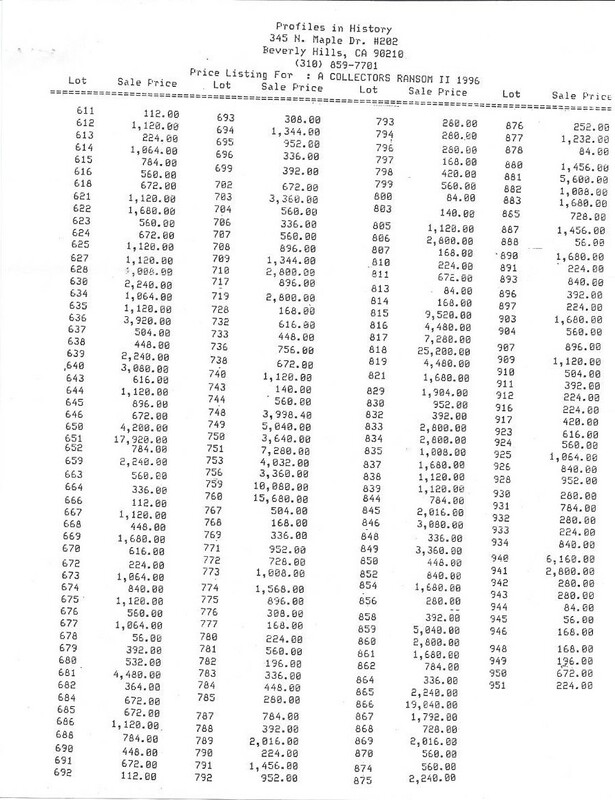 A complete set of Final Prices Realized pages for all lots in the June, 1996 sale is published at the conclusion of this post. The spring 2011 Profiles In History entertainment memorabilia auction "Hollywood Auction 44" will take place on May 14th and 15th at the Saban Theatre in Beverly Hills, California; and there will be a total of 102 Star Trek lots included in the sale that represent a very impressive selection of props, costumes and artwork from the various television series and motion pictures in the franchise. 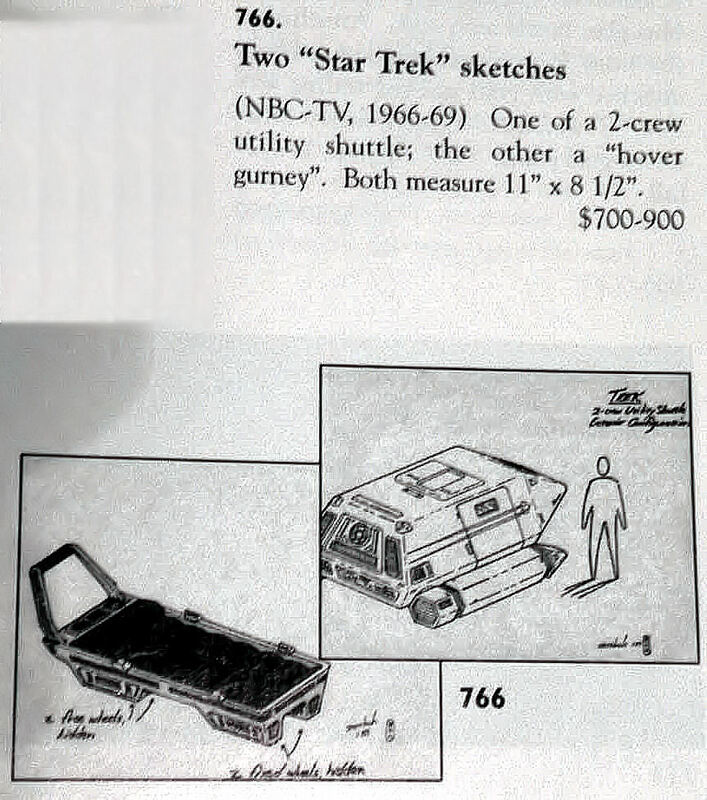 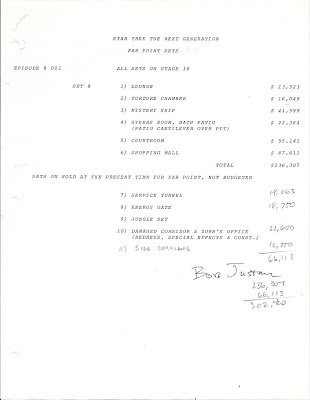 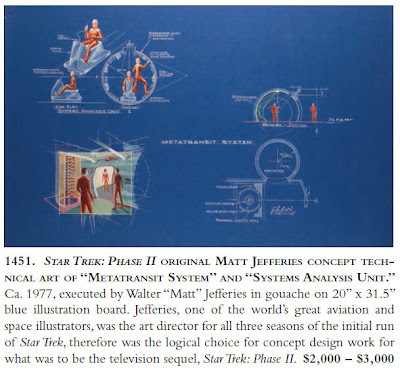 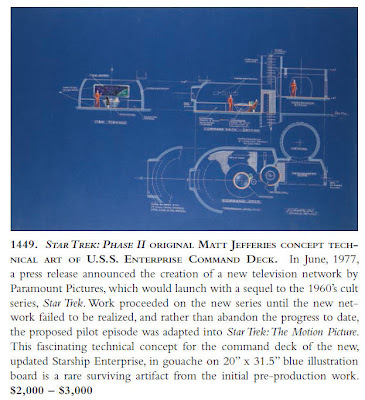 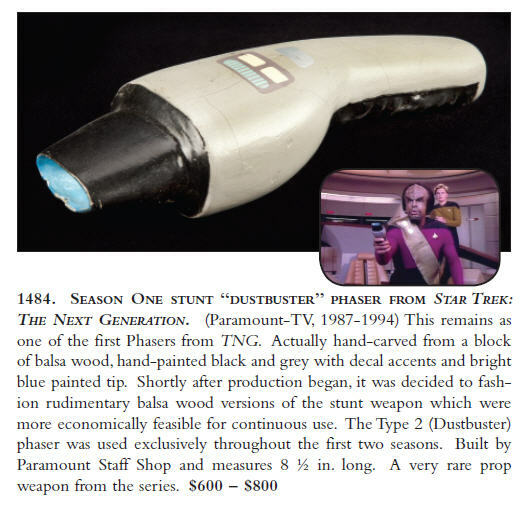 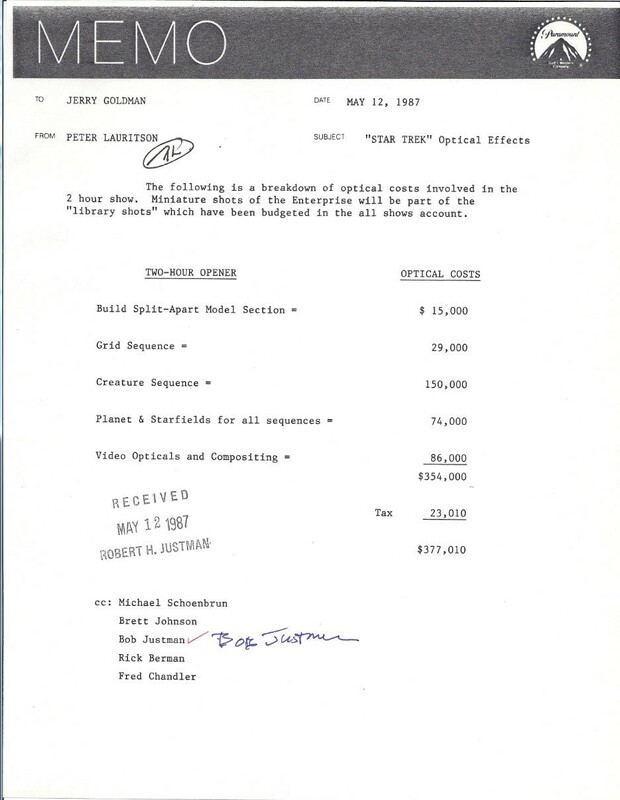 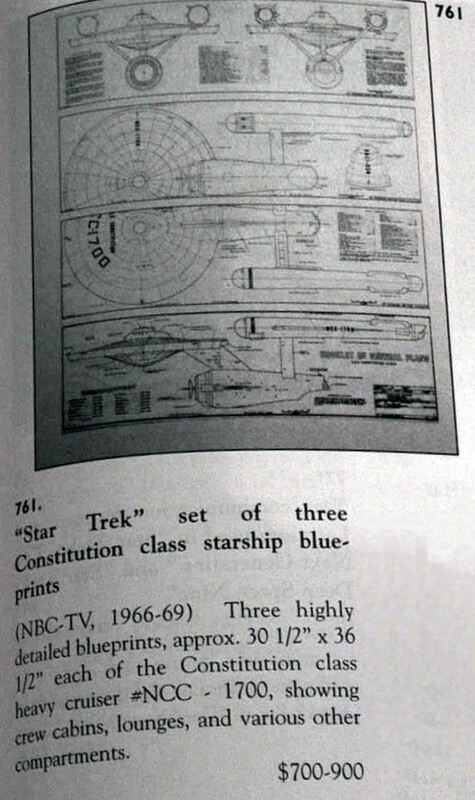 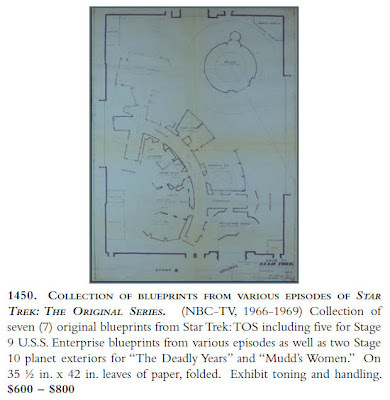 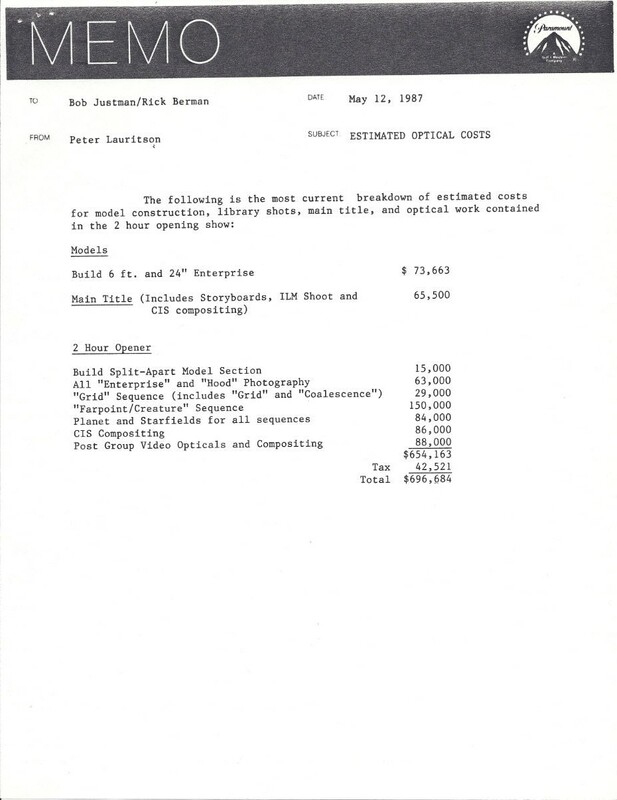 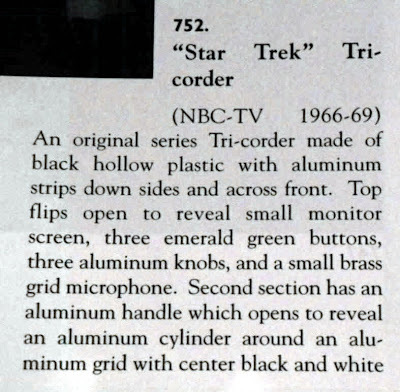 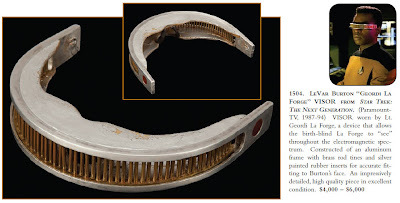 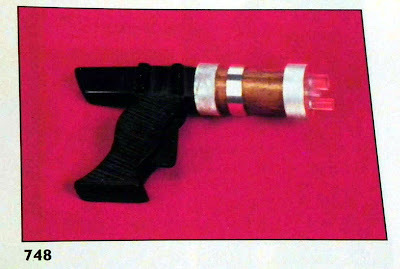 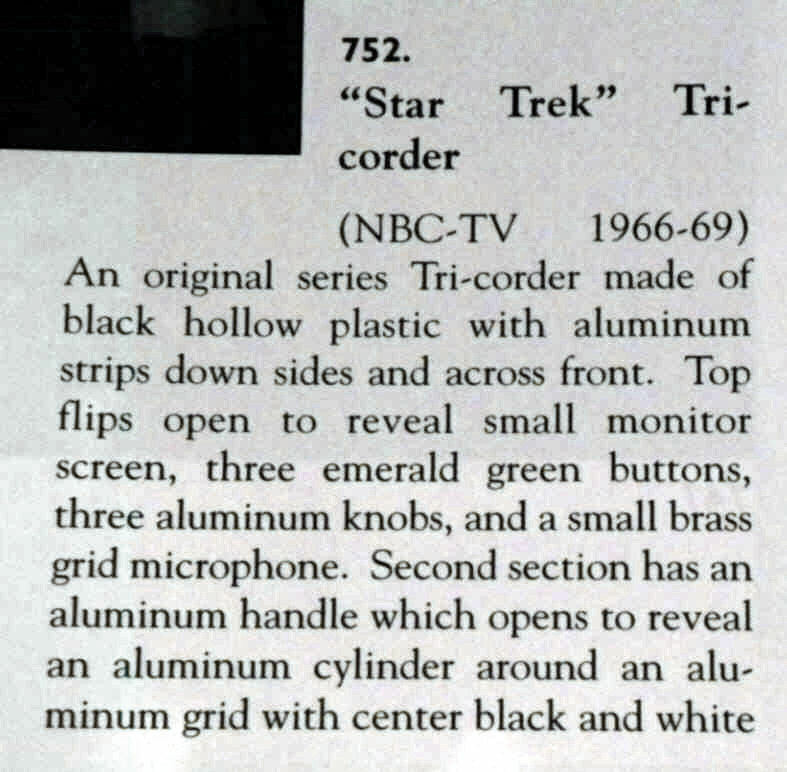 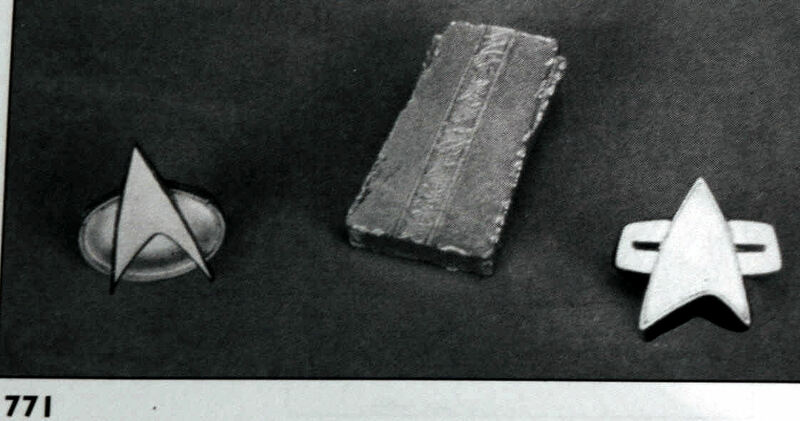 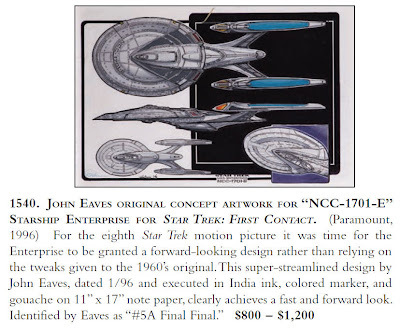 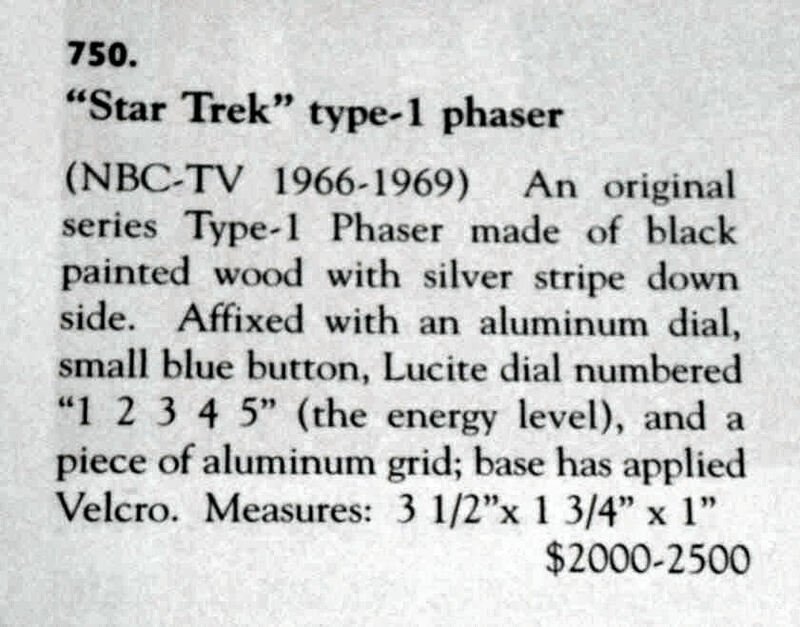 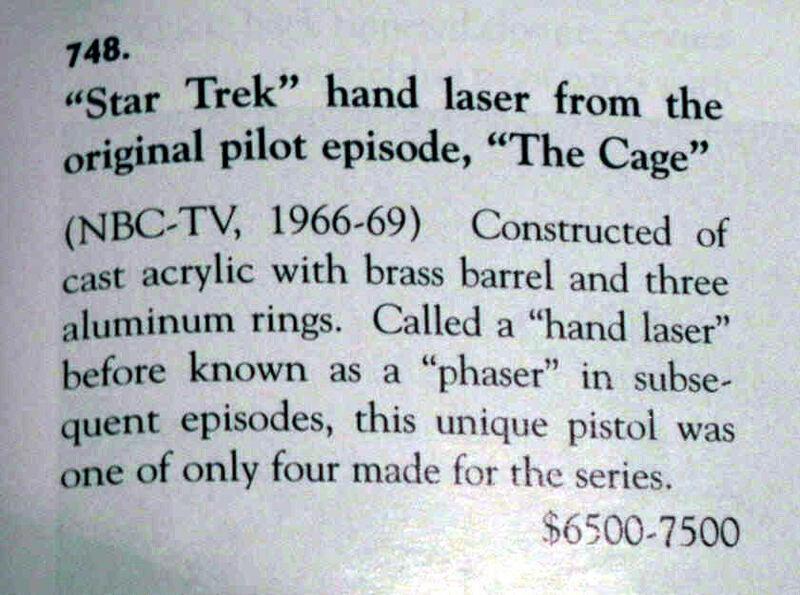 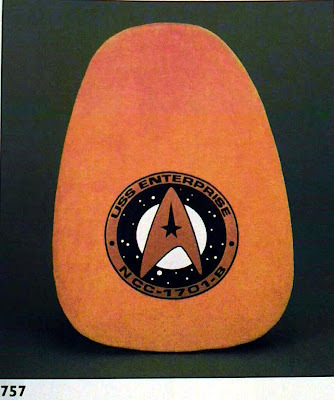 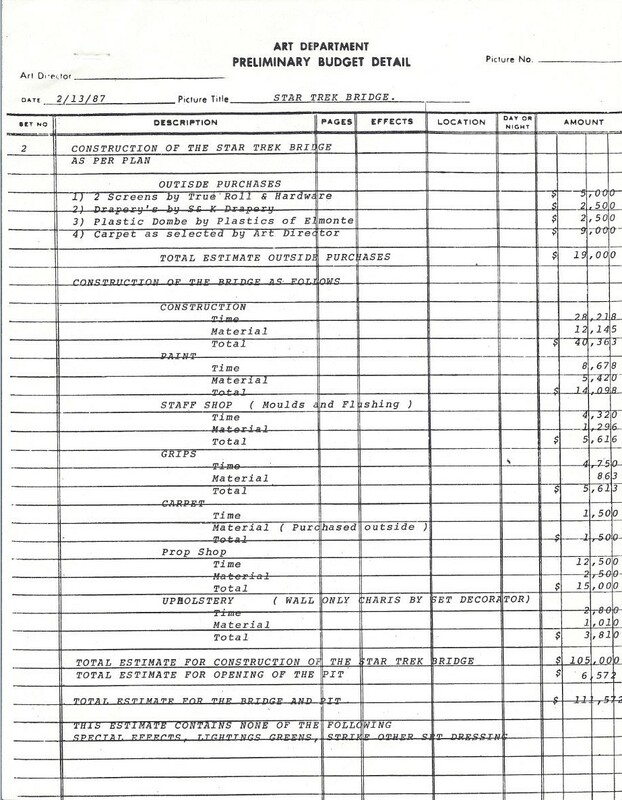 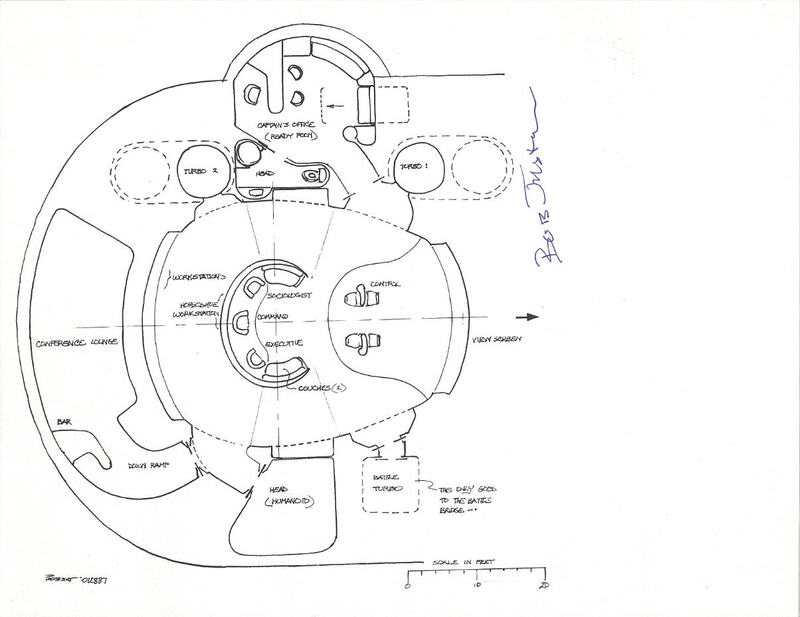 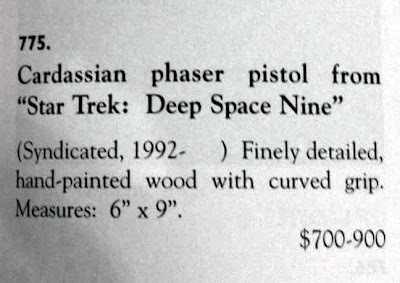 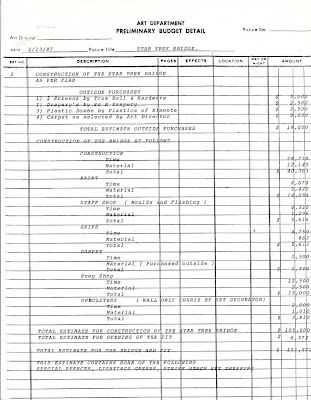 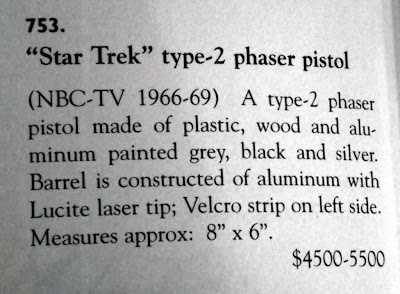 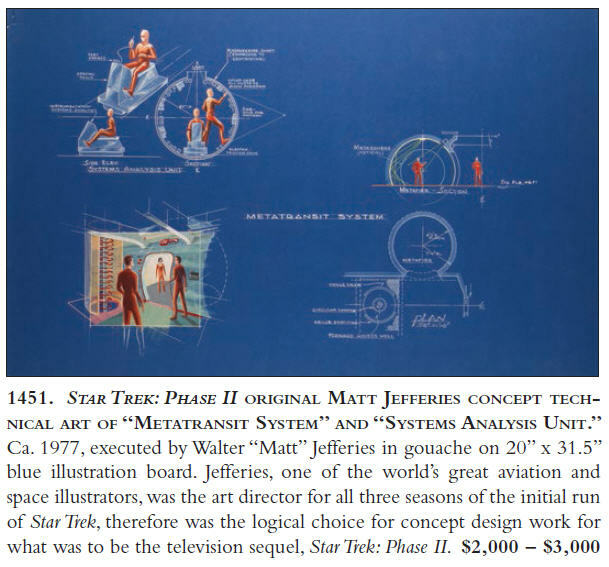 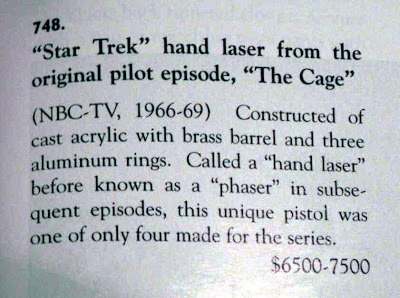 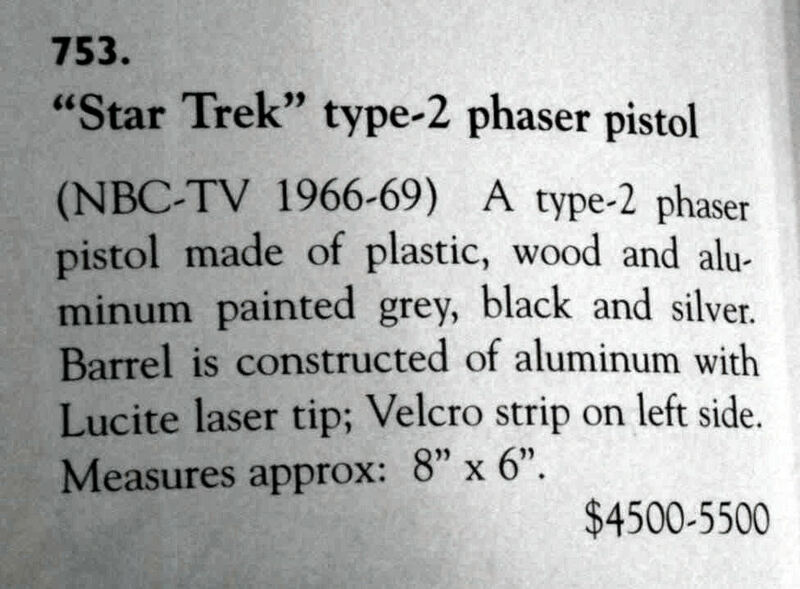 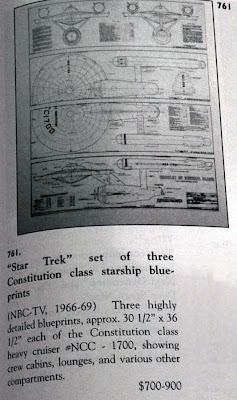 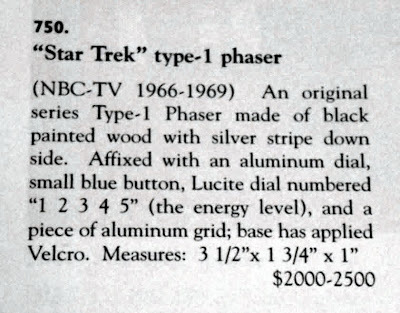 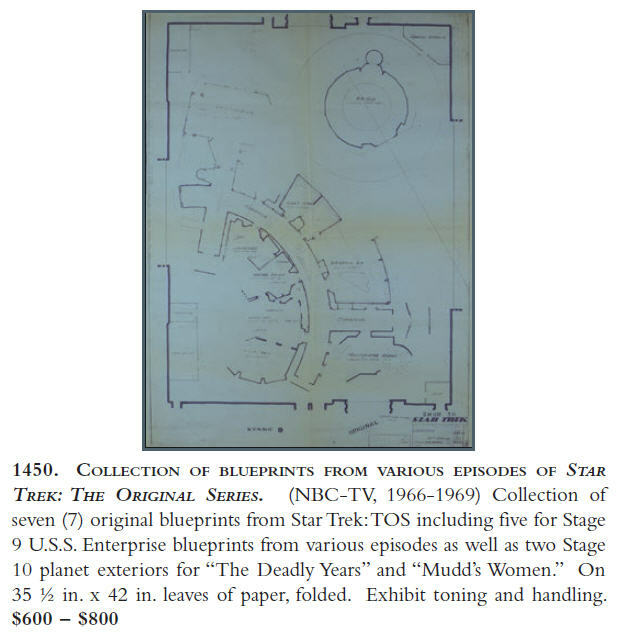 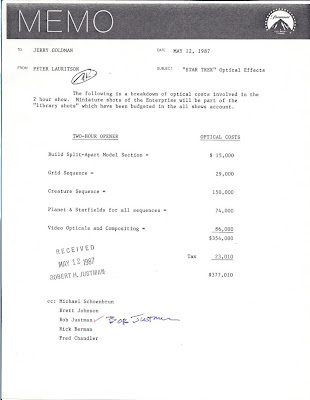 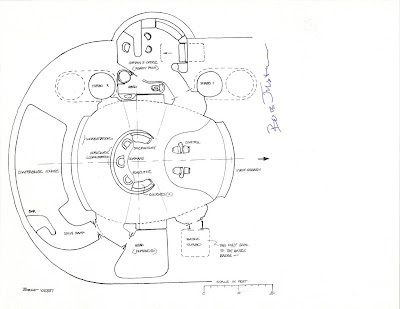 The Original Series highlights include a collection of Desilu soundstage blueprints used in the production of various episodes, a pair of Matt Jefferies original technical drawings for the TOS Type-1 and Type-2 phasers, and a collection of miscellaneous resin buttons from the Bridge of the U.S.S. Enterprise. 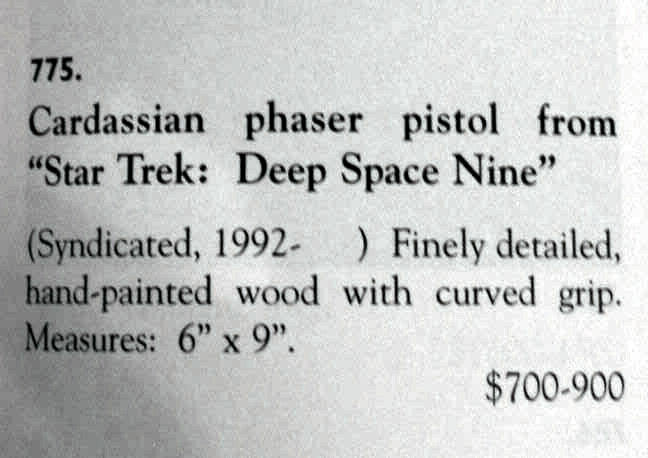 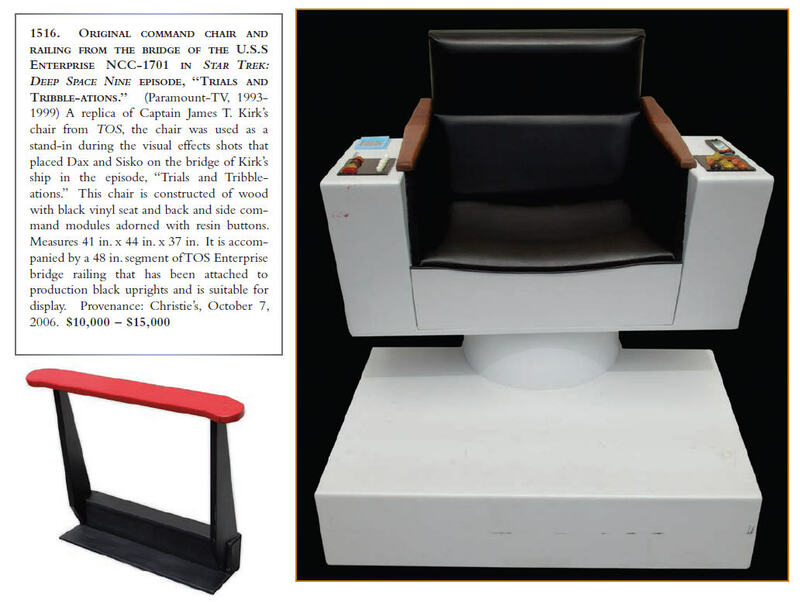 As well, a TOS-style Captain's Chair and Railing that were used as a stand-in during the visual effects shots for the production of the Star Trek: Deep Space Nine episode "Trials and Tribble-ations" will be offered for sale. 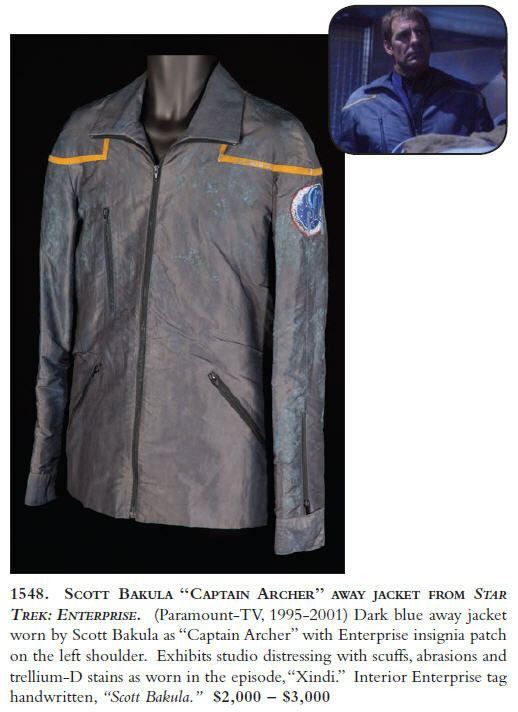 The auction will also feature several authentic Star Trek screen used costumes displayed on life-size custom-made mannequins (many featuring make-up appliances painted and dressed by Paramount) that were part of the exhibition "Star Trek: The Tradition Continues" at The Paley Center for Media. 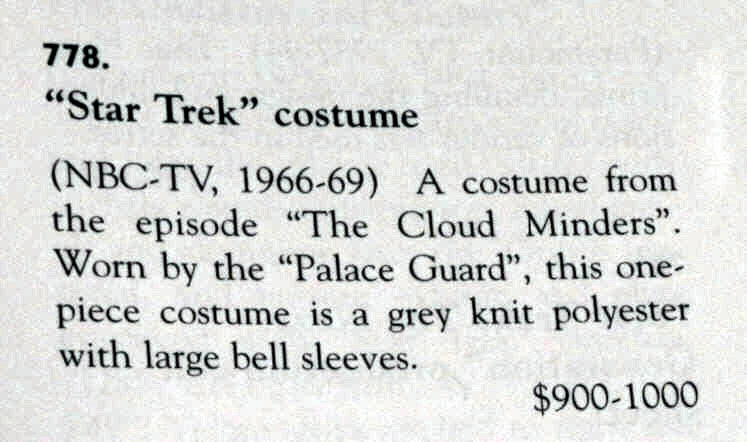 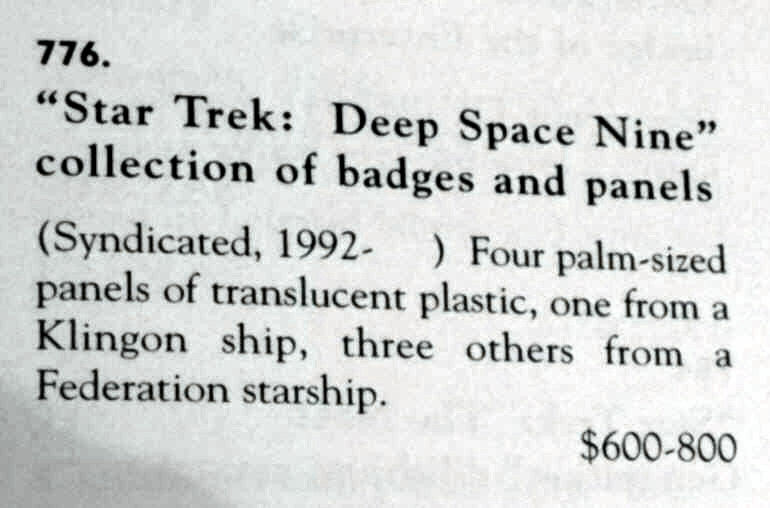 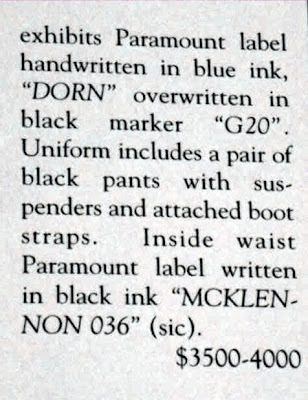 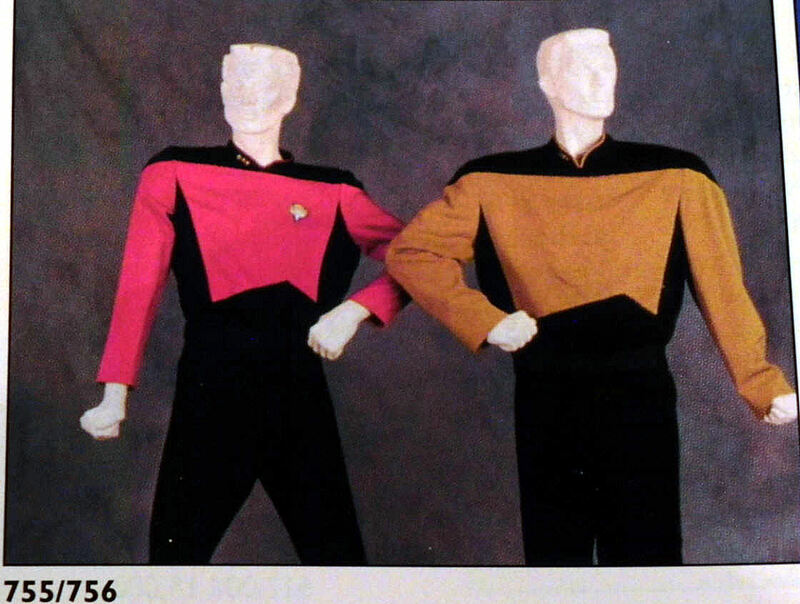 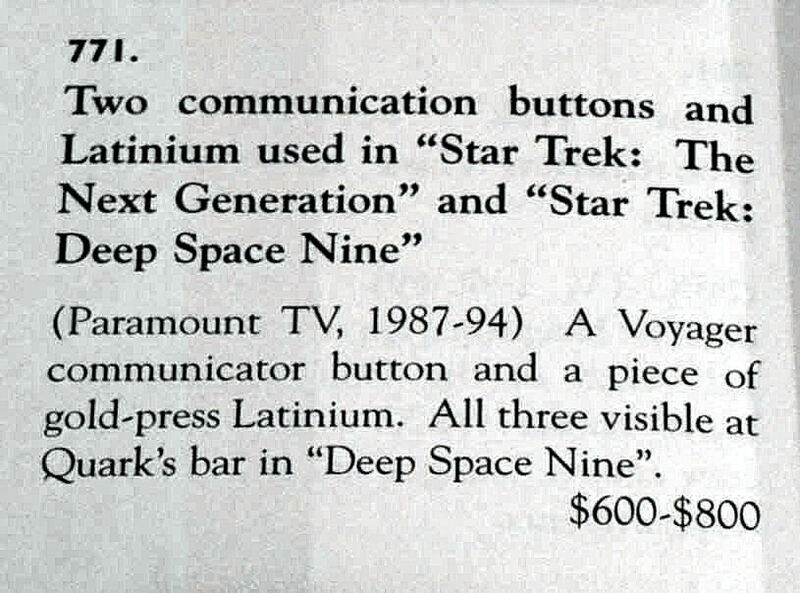 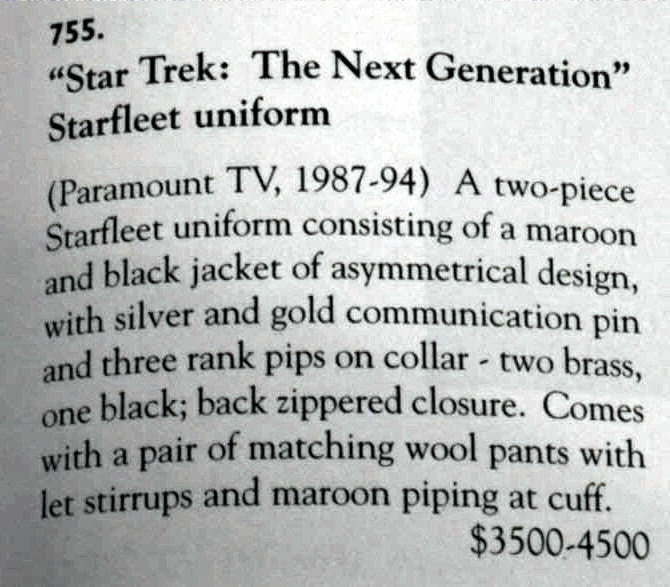 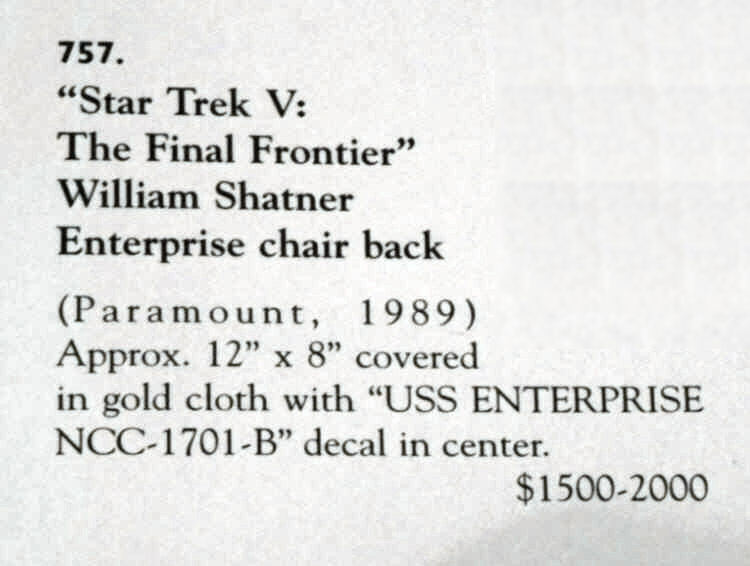 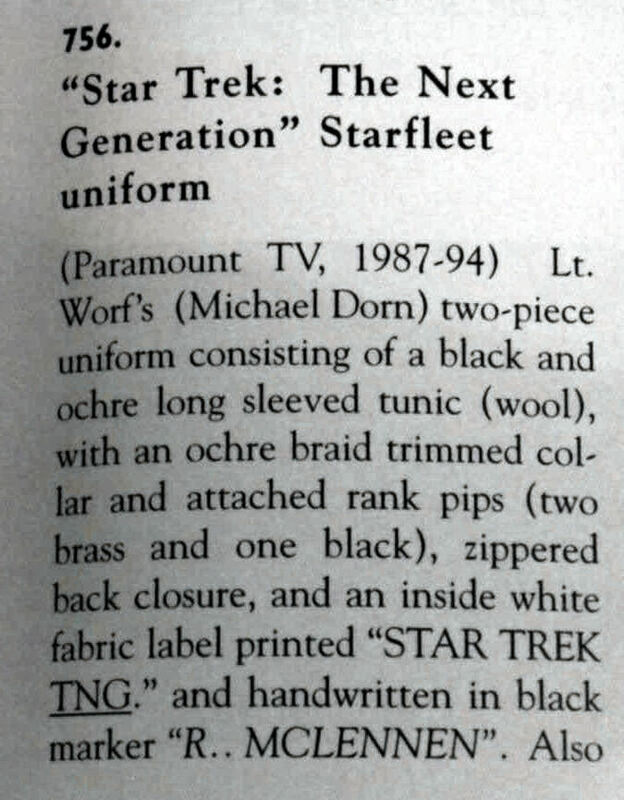 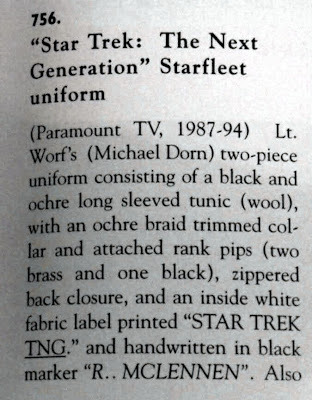 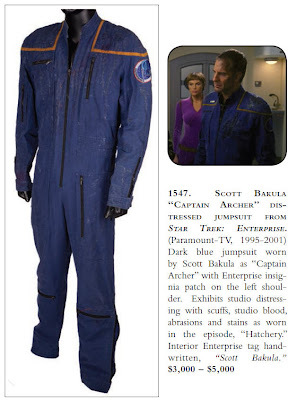 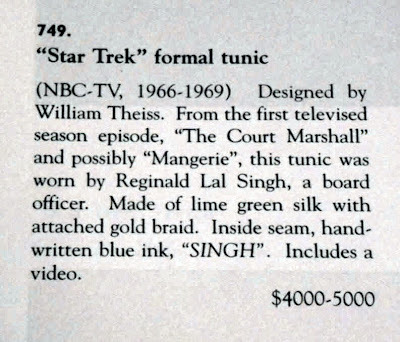 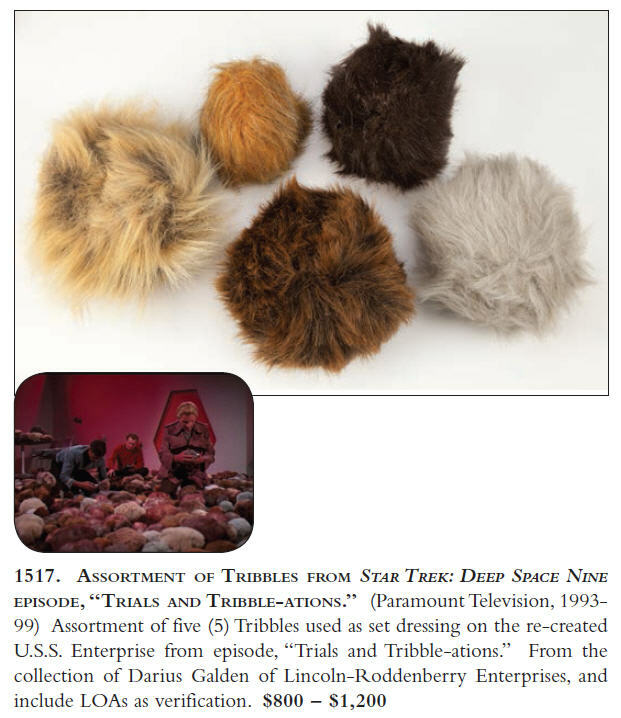 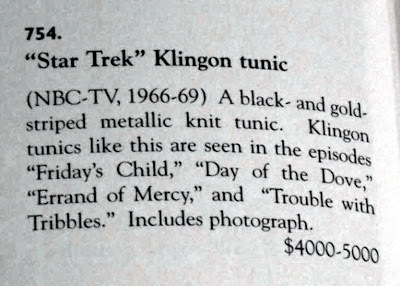 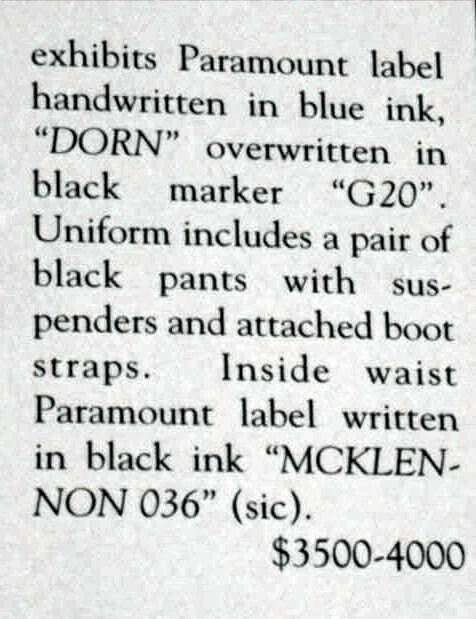 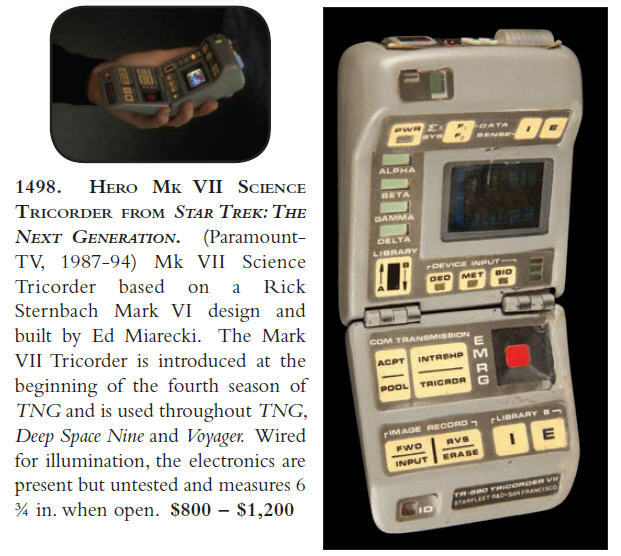 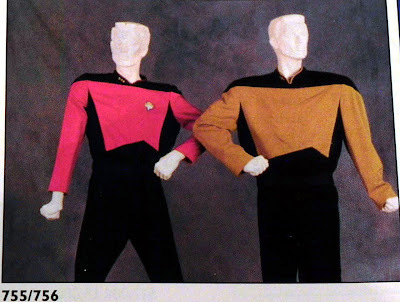 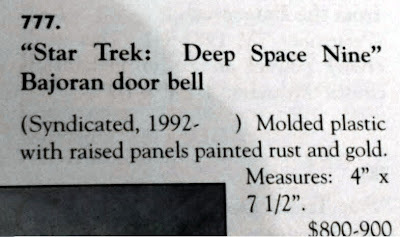 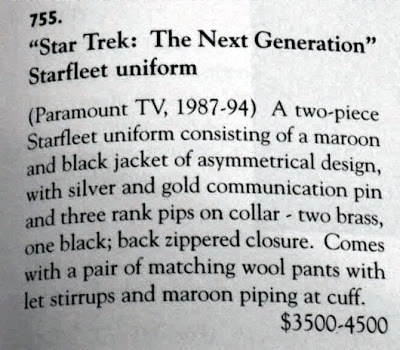 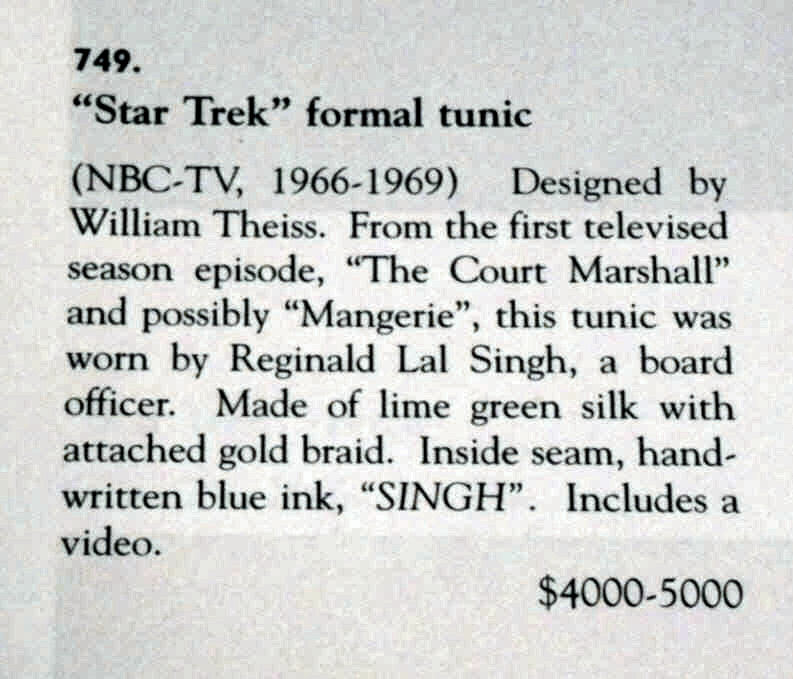 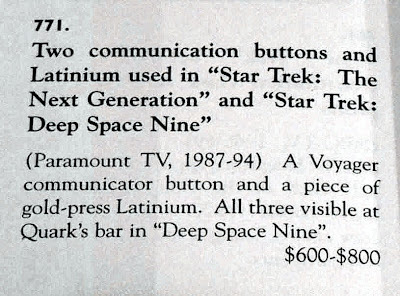 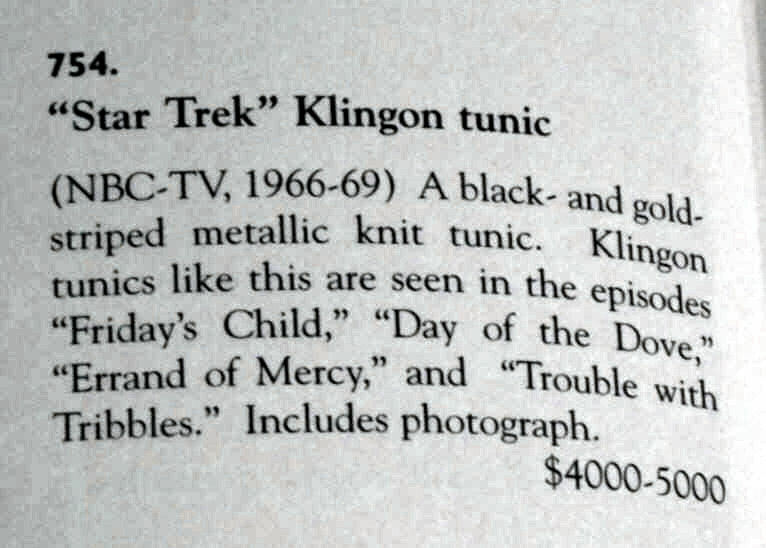 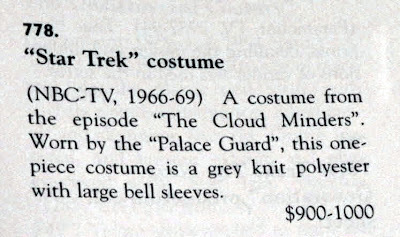 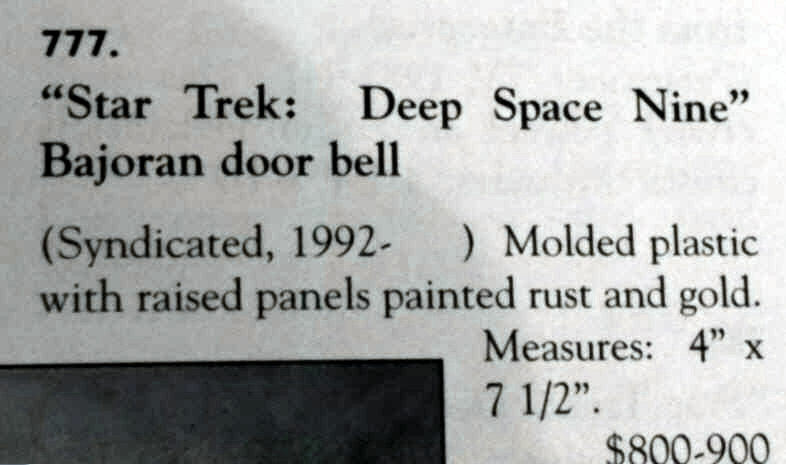 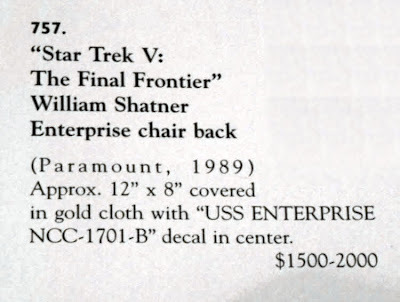 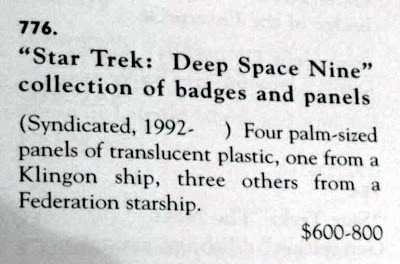 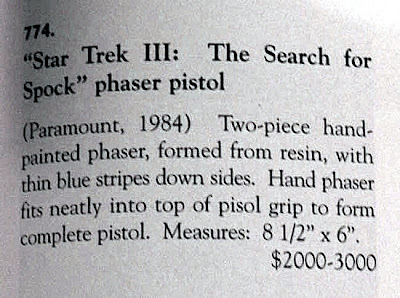 The two Trek costumes which might attract the most attention in Hollywood Auction 44 are a Leonard Nimoy worn Mr. Spock Kolinahr Vulcan Robe from the opening scenes of Star Trek: TMP, estimated between $30,000 - $40,000; and a Ricardo Montalban "Khan" helmet and shoulder wrap from Star Trek II: The Wrath of Khan, with a perhaps overly optimistic estimate of $30,000 - $50,000. A full scale 6 ft. long photon torpedo from Star Trek: Enterprise (with a pre-auction bid estimate of $1000-$1500), as well as the full scale NX-01 Pod 1 shuttlecraft from Star Trek: Enterprise (measuring 20 ft. long with a bid estimate of $40,000 - $60,000) will also be open for bid. 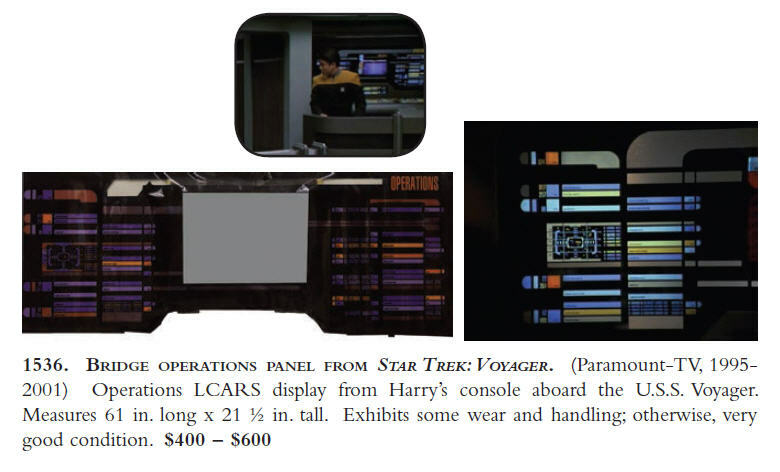 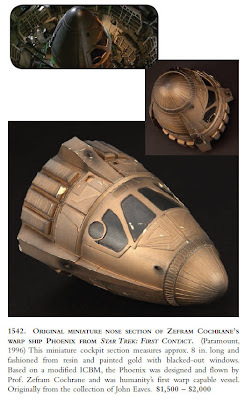 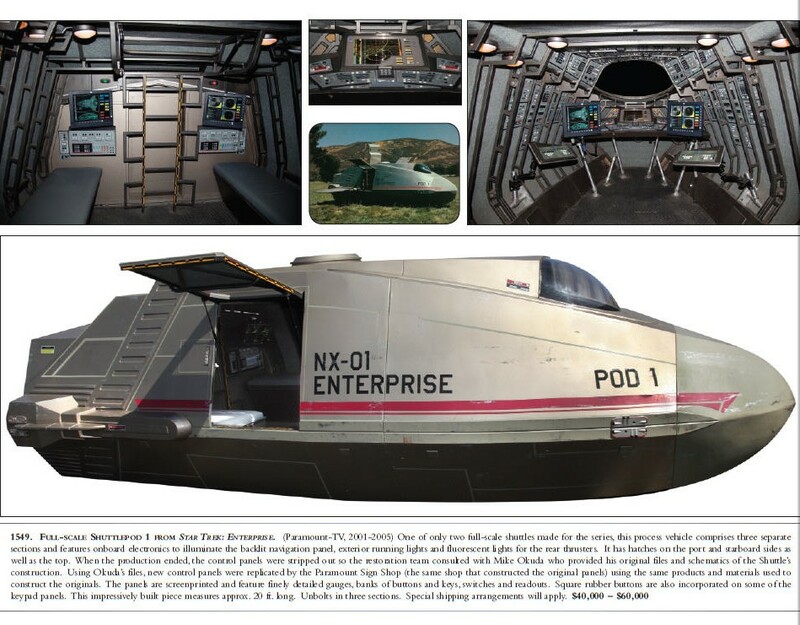 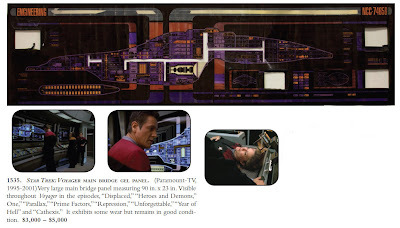 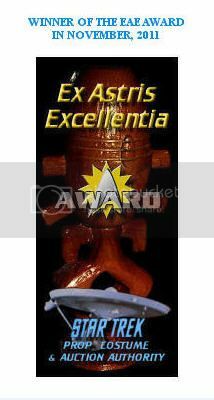 The NX-01 Pod 1 is one of only two full scale shuttles made for the series, and features newly replicated interior control panels (made by the same Paramount shop that constructed the original panels) to replace the screen used control panels which were stripped from the vessel when the series concluded filming.